Ryan Storr is a Lecturer and Academic Course Advisor n Sport Development at Western Sydney University. He Recently completed his PhD at Victoria University, whereby his thesis explored how community sports clubs respond to diversity and engage in diversity work. 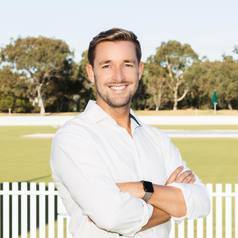 He has have led several recent research projects, specifically around LGBTI+ inclusion within sport, with the most recent being a funded evaluation exploring the current level of LGBTI+ inclusion within an Australian sporting code. Ryan is also the co-founder and director of LGBTI+ sport charity Proud 2 Play.